for some reason, the thought of making pretzels from scratched scared me! i mean, you have to boil them in water THEN bake them?! but this all changed once i had the asiago pretzel from starbucks. i knew i had to recreate this level of deliciousness into something even better. so i did my research until i found the perfect recipe [adapted from just a taste], and guess what! they turned out pretty damn perfect. so here it is, i highly suggest you give it a shot*. * i mixed the asiago cheese into the batter, however sprinkling it on top instead of the coarse salt prior to baking works too. in the stand mixer bowl, mix warm water, raw sugar, and salt. sprinkle the yeast on top (but do not stir in) and let it sit for 5 minutes. if it does not begin to foam, check the expiration date on your yeast! with the dough attachment on your mixer, add one cup of flour and all the butter to the bowl. mix until combined. add grated cheese and remaining flour and mix/knead until the dough becomes smooth and pulls away from the bowl. form into a ball, and let it sit in the mixing bowl covered for an hour (or until it has doubled in size). preheat the oven to 425ºF and line two sheets with parchment paper. in a separate dutch oven, mix 6 cups of boiling water with the baking soda. 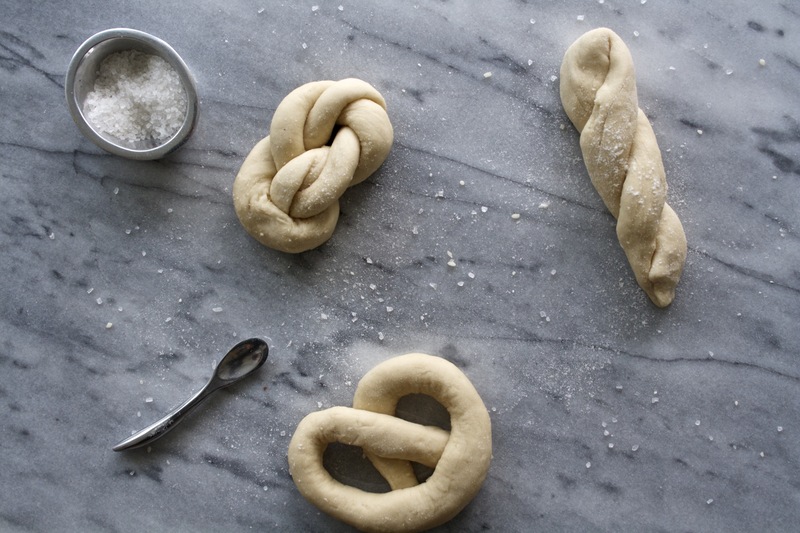 once the water begins to boil, roll your dough into your desired twist/pretzel shape and boil individually for 30 seconds. 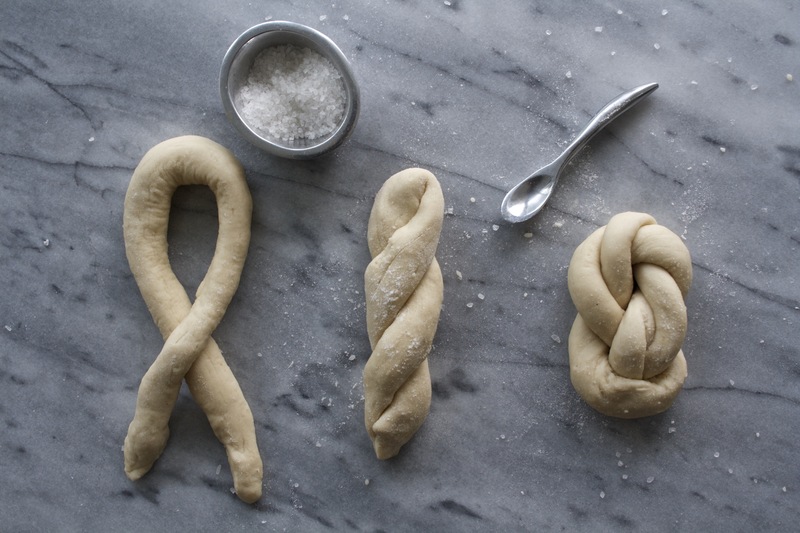 place each twist onto your baking tray and brush with egg wash and a sprinkle of coarse salt. 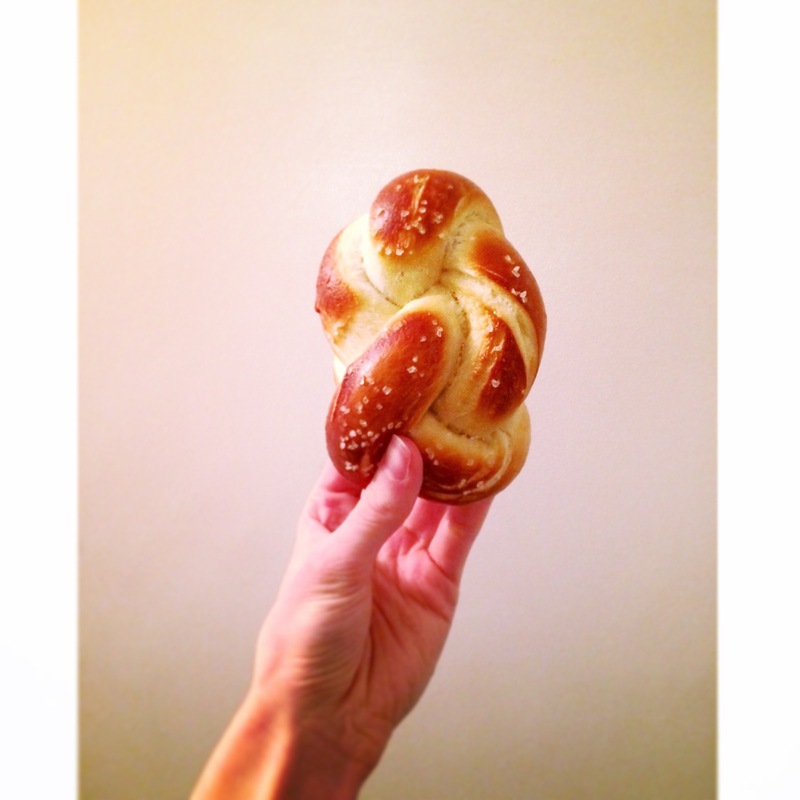 bake until the pretzels become a golden brown, approximately 12-15 minutes.